Continue the Hunt in Crysis 3 with The Lost Island DLC! Crysis 3 players can now take aim in an exciting new setting thanks to the arrival of our Crysis 3: The Lost Island DLC expansion pack. Featuring new multiplayer maps and game modes, and two brand new weapons, the DLC invites players to return to the scene of the original Crysis by taking up arms on a remote tropical island off the coast of Lingshan. Available in the US from today (June 4) and the rest of the world tomorrow (June 5), The Lost Island DLC invites players to compete on the new Ascent, Coastline, Creek and Crossing multiplayer maps; trying their hand at the new ‘Frenzy’ and ‘Possession’ game modes at the same time. Frenzy adds a new dimension to deathmatch, with a weapon loadout that cycles every 60 seconds keeping tension high as players can only respawn during the next loadout change. An intensifying radar sweep keeps track of every move. Only the most skilful Hunter will win. In Possession, players secure the single objective flag for the longest time in order to win, but once the flag is secured they become the hunted, permanently tagged in the enemies HUD. Possession also boasts a team based variant, where co-ordination and teamwork will ensure victory. Crysis 3 is the latest installment in the award-winning Crysis franchise. The series is known for its spectacular visuals, dynamic, open gameplay and its signature Nanosuit that grants players unique powers to assess, adapt and attack in any situation. In Crysis 3, players return to the fight as Prophet on his quest to save mankind and become the deadliest hunter on the planet. 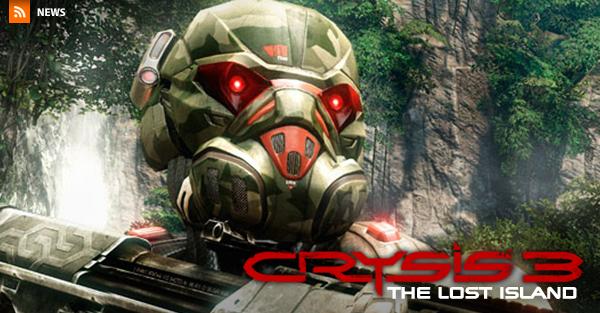 The Crysis 3: The Lost Island DLC is available to download from the Origin store now.